Sir Philip Green's reputation as the ugly face of capitalism was reinforced when the TopShop, BHS, Burton and Miss Selfridge tycoon refused to sign up to a new initiative to improve conditions among Bangladeshi clothing manufacturers. The Bangladeshi Safety Accord was drawn up in the wake of the collapse of a clothing factory in Dhaka killing 1,127 workers. The United Nations International Labour Organisation formulated the agreement that involves regular inspections of suppliers to point out "grave hazards and the need for urgent repairs", in addition to companies ensuring safety standards at garment factories. More than 80 high street retailers have signed up to the agreement, including Marks and Spencer, Next and Primark. Green's clothing empire Arcadia has declined the opportunity. "We are undertaking robust measures to ensure suppliers and factories we work with in Bangladesh are compliant with our own stringent code of conduct," an Arcadia spokesperson suggested, "whilst being fully supportive of industry initiatives." That does not tally with the opinion of War on Want. Murray Worthy of the poverty action charity said Green's failure to sign up was endangering lives. 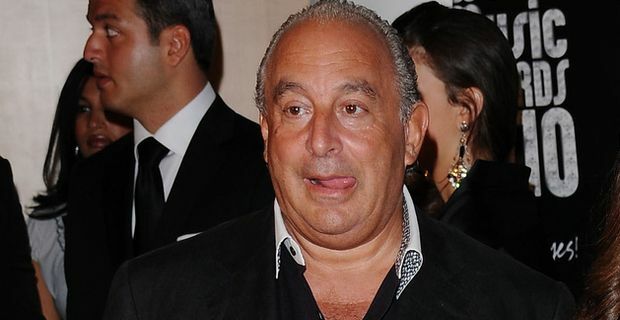 "TopShop's bosses have got no excuse for not signing this agreement," he said. "With their bumper profits, they can easily afford a tiny fraction of that to make their supplier factories safe. Their failure to act and to work with other UK high street retailers to make these factories safe leaves thousands of workers' lives at risk." Green has always been adept at avoiding any commitment that could cost him money. Arcadia's tax burden has been minimised by placing the company in the name of Green's wife who, handily, lives in Monaco. Lib Dem MPs have demanded that Green's tax affairs should be investigated, with little success. UK consumers now have to examine their consciences before continuing to shop at TopShop, BHS or Miss Selfridge.